10 November marks the world science day for peace and development. Why is this day celebrated? Because progress and scientific advances have to come from sustainability and the diffusion of science to all corners of the planet. The advantages of innovation cannot be exclusive access to a part of the population, and the consequences of progress must be seen in our environment and in a sustainable landscape for the new generations to come. Commitment to this scenario has triggered the celebration of this day at the suggestion of the United Nations. From Cokitos we want to contribute to the distribution of these values, to the diffusion of science to make it reach all corners of the planet. 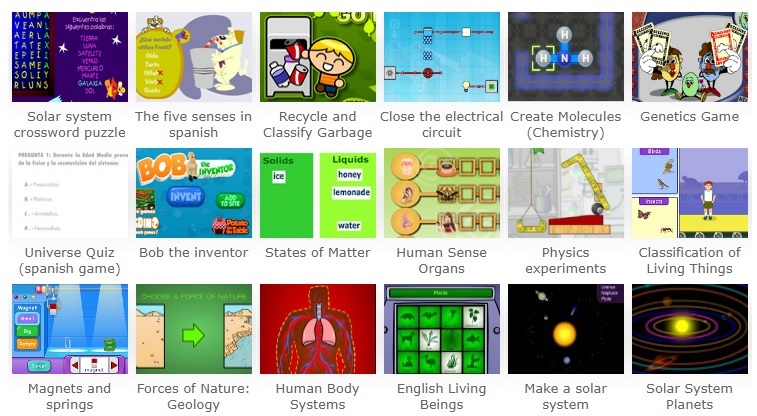 Through these games, any child with an Internet connection will be able to access activities related to science and knowledge, being positive for their education and serving as motivation and encouragement for their intelligence and development. To play these games it is necessary to be able to play flash in the computer, so from a mobile phone it is not possible to play them. Most games are in Spanish, but there are also some in English, as one of the most widely spoken languages on the planet.